The Mainstage interior retains much of the original layout of the single-screen theater that operated in the locale for over 50 years, beginning in 1947; venue owners Orrin Day (a contractor) and Cheryl Day bought the building in 2002. 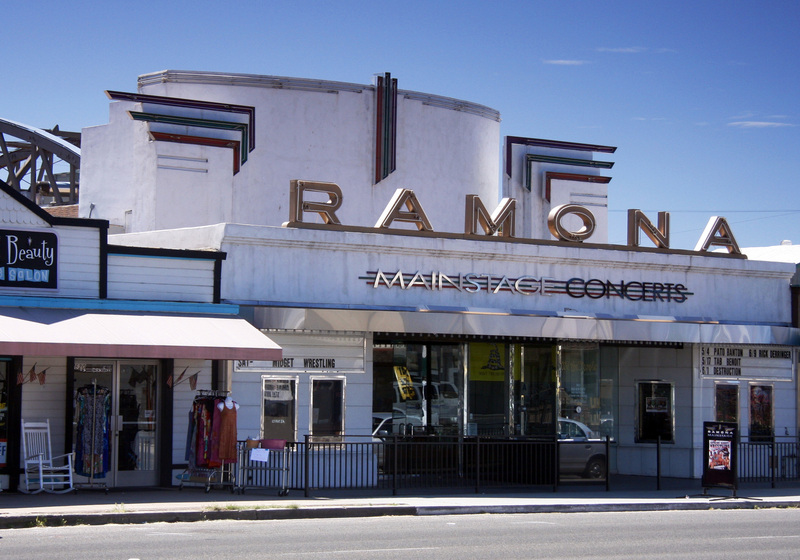 After spending what he says was over $1 million, Day reopened it as Ramona Mainstage, a 550-capacity music venue. In 2018, Day remodeled the venue for the third time since he took it over, building an adjacent steak house and a BBQ restaurant, and turning the concession area next to the stage into a bar, so the venue could continue to be all ages while still serving liquor. Sunday, May 12, 6:00 p.m.
Dec. 7, 2009 @ 10:24 p.m.
Don't miss TRIGGER NASTY hot new artist. July 7, 2010 @ 7:29 a.m.